Celtic Goddess of the Dead. This month I’ll be featuring the ladies of Ireland and Scotland! Starting with the story of Scathach (which is Gaelic for “the shadowy one”). 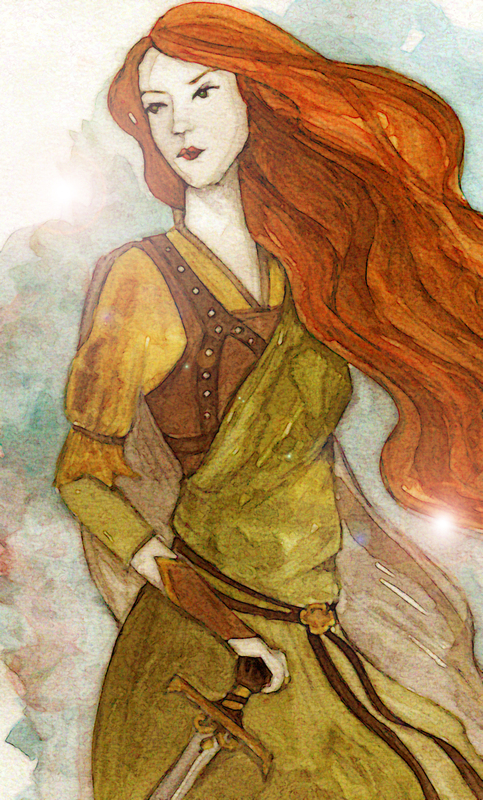 She is a bit of a legend in Irish mythology. A Scottish Warrior and Martial arts teacher, Scathach is said to have trained the hero Cu Chulainn in combat. She is often referred to as “the Shadow” and “Warrior Maid”. It is thought that she lived on the Isle of Skye and trained many Celtic heroes in pole vaulting (for jumping over forts), underwater fighting and hand-to-hand combat. She even had a weapon of her own invention called the gae-bolg which was a harpoon with spiked barbs around it. Most of the accounts say she was a prophetess, a magical warrior, and a formidable enemy. She also evolved into being the Celtic Goddess of the dead, leading those killed in battle to the land of eternal youth.